Many businesses often have problems marketing themselves. In comparison to gigantic corporations, the marketing budgets of many businesses are often lean – or entirely non-existent. You certainly don’t have the luxury of funding a Super Bowl commercial and you can barely afford your Google AdWords Pay-Per-Click fees! Because of this, a positive ROI is absolutely critical for most business marketing campaigns. You want to stretch your marketing dollar as far as you possibly can, and make use of all the helpful tools there are to grow awareness of your brand, products, and services. One of the best ways to get a huge marketing boost – while still keeping costs under control – is with smart partnerships with social media influencers. You may have heard this term thrown around in the past – so let’s define it quickly, before we move on. Essentially, a social media influencer is any individual who has established themselves as some kind of authority figure in a given market niche. They have credibility within a particular market niche, and an audience that engages with their content. The audiences engage because 84% of consumers say they trust peer recommendations over brand advertising and 51% of companies that work with social media influencers find better customers. Great, but who qualifies as an “influencer” to you? If you’re a small fashion retailer, a famous fashion blogger or well-known Instagrammer could be an example of a social media influencer – if you’re in the food truck business, successful food bloggers in your area could be great social media influencers, and so on. Social media influencers are perfect partners for most businesses (large or small) as I’ve written about before. By providing them with free services, some kind of incentive, or by paying them a negotiated fee, you can promote your business with laser-focused precision, because you know that you’re reaching your intended market. Your ideal consumers = People you want to turn into customers. For example, if you’re running a food truck in Austin and you partner with an Austin-based social media influencer with a largely millennial, “foodie” following, you’re reaching the best possible audience for your business – your marketing dollar is going directly to people who would be interested in your services. The cost-effectiveness of social media influencer partnerships makes them a fantastic choice for your business. But how can you find these people? Here is a simple guide to find and identify social media influencers who are a good fit for your business. 1. Take A Look At Who’s Already Following You! This way is so simple but often overlooked. If your company has a social media presence, chances are that you already have some influencers following you (if you’ve really invested time and effort in social media marketing)! These influencers offer you the perfect opportunity to dip your toes into the world of social media marketing. Why? They’re following your business already – and they’re likely a fan of what you do – so they’re more likely to do business with you (often at a lower cost). They will be enthusiastic and authentic about promoting your business – they love what you do! This is crucial – savvy consumers can be turned off by inauthentic partnerships. There are many other benefits, but these are the top three reasons you should partner with influencers who are already fans of your brand. In addition, influencers who have never heard of your brand may be reticent to do business with you – after all, they’ve carefully curated their personal brands, and they’ll be hesitant about a bad partnership that could possibly tarnish their reputation. It’s relatively easy to find influencers who are already following your company. Begin scrolling through – identify individuals who “pop”, or stand out to you, and open up their profiles. Check their follower counts – do they have around 1,000-10,000 followers? Look at their posts – are they likely to post content that fits with your brand and your identity? Does the content they generate “resonate” with their audience by some kind of response or action? By this I mean comments, shares (retweets) and likes? Once you’ve found a list of individuals who are following you, have an audience of between 1,000-10,000 followers, and are regularly posting content that appeals to your audience, reach out to them! If your business has a great social media presence, you should easily be able to find a few (or a few dozen) of these profiles. For example, if you run a restaurant, you might find that you’re followed by a local food blogger with a strong, 5,000 person following. Reach out to this person or organization, and offer free/discounted products – or small payments – in exchange for the promotion of your business. Hashtags are extremely powerful social media tools – simply browsing hashtags can provide you with a quick and easy way to recognize key social media influencers in your niche. To identify a social media influencer through hashtags, begin by thinking of a hashtag related to your business. The key here is specificity – the more specific a hashtag is, the more likely you are to find an influencer that has clout in your chosen market segment. For example, if you run an organic food store, you shouldn’t look for the “#Food” – as that is too broad and attracts a wide range of posts. Instead, you should search for #healthyliving, #organiclife, #knowwhatyoueat, #liveorganic – specific terms that are more likely to appeal to your ideal consumers. Instagram offers an ideal tool for this research. Click on these profiles, and try to identify users who have a large following – but not a gigantic following. Audience numbers (reach) are not everything. Be sure to check their content to make sure it’s congruent or relevant to your business. Remember relevance is a key metric to find your best influencers because it helps you to focus in on your ideal consumers. Regarding audience size or reach, you’ll want to partner with influencers who have a total follower count of less than 100,000 – things can get quite expensive above that number because the influencer will charge more for opportunities to work with them. Also, there’s evidence that consumers engage more with influencers who have lower audience numbers. So, look for Instagram users with below 100K followers, and who get large numbers of “likes” and comments on their posts. This is known as engagement and is one of the most important metrics you should pay attention to. High levels of engagement are key for a cost-effective marketing investment and it’s a fairly trusty signal that consumers are active and interested. Based on these criteria of relevance and engagement, contact the influencers and offer them some ideas on how you might work together. 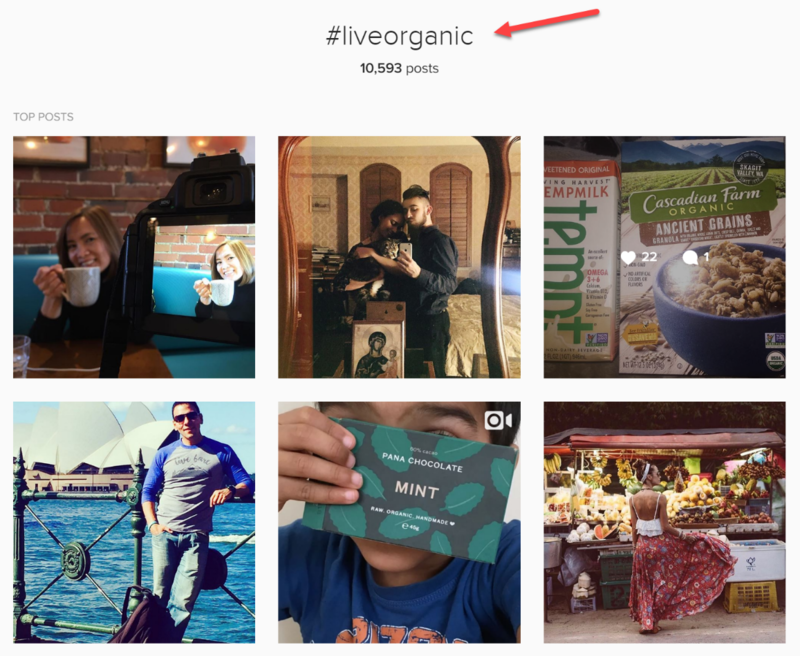 If you run an organic snack company, for example, you could contact an organic food influencer, and offer them a gift basket of free snacks as long as he or she reviews your products on their blog or Instagram page. You’ll likely have to pay them a “sponsorship” fee too, but it will likely be much more affordable than running ads on Instagram (or Facebook). It will also be more targeted to your ideal consumers. Most influencers are happy to do so, as both partners benefit from the promotion. Despite the prevalence of social media, blogs remain a huge aspect of online presence – almost every social media influencer will run a blog, and just about every blog will have a social media presence! Also, blogs contain content that is searchable for years where content on some social platforms is hard to find after a few days. So don’t just rely on Twitter and Instagram – do a Google search for local bloggers in your market niche. This is extremely helpful for all businesses even if you’re hyperlocal. If you run a small food truck in Atlanta, for example, it might be nice to partner with a national food blog – but you likely won’t see any real impact on your sales or your bottom line. If, however, you Google “Food truck reviewers Atlanta” or “Food bloggers Atlanta”, you’ll be able to identify great partners who are likely to work with your company, and provide you with real, measurable results. Social media analytics tools such as Awario and Ninja Outreach and others can be very helpful in identifying key influencers in your market. It can be time consuming to do all of your research yourself – so these tools are very useful if you don’t mind spending a little money in order to locate social media influencers quickly and easily. 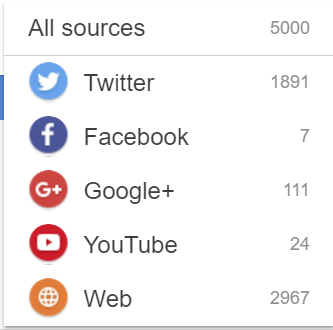 Custom follower ranges – restrict follower counts to 1,000 -10,000, etc. Awario is primarily a social media monitoring tool but also helps you identify your influencers by finding mentions of your brand or your industry online through keywords. It shows you the influencers in the hierarchical order based on their followers, subscribers, shares, and website traffic – so it does a bunch of work for you. No matter what your interest area is, Awario can help you find influential people there. But what if you only want to search for influencers within a specific social platform? Awario enables you to filter the platforms so you can focus your search. This is super helpful if you are looking for influencers on a specific platform such as Facebook or Twitter. First, it has all the typical content and lead prospecting features you need to find influencers. It already has a well-stocked database you can crawl for data including PA and DA. Be sure to check both of these stats as they are indicators of how authoritative an influencer is in her niche. 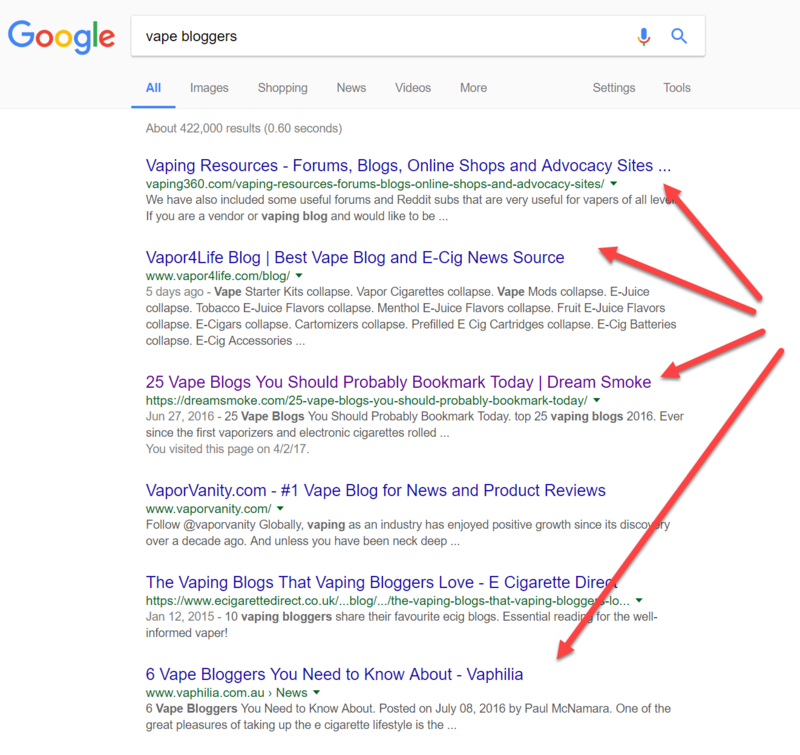 This is good to know since your own SEO can get a boost by having influencers link to your site in their content. Next, once you’ve identified some candidates, it can pull contact data for you, and you can go straight to email outreach without leaving the platform. You can also manage communication history with the candidates you reach out to, so it’s like a CRM system on top of prospecting. It also enables you to manage email campaigns from here, all while monitoring the most trending topics, most shared pieces, and most influential influencers from within your niche. By using powerful tools like this one, you can search for your desired keywords and hashtags and quickly compile a list of social media influencers who are ideal partners for your business. After you’ve compiled this list, reach out to each individual for a partnership – if you’ve done your research correctly, they’re highly likely to be open to partnering with your business, and sharing your products or services with their audience. 5. Use Social Media Influencers To Grow Your Brand – For Less! Social media influencers are ideal partners for small businesses, because they offer an extremely cost-effective marketing opportunity. Midsize social media influencers can provide you with a perfect blend of affordability and a large audience. You can put your products and services in front of your ideal market for an extremely low price – often less than $250 per post. Smaller influencers cost even less – if you find an influencer who is still up-and-coming, a simple offer of free products or services could be all it takes for them to promote your business to their thousands of followers – talk about ROI! So don’t wait. Follow the above four suggestions, identify your key social media influencers, and watch your company grow.